4 Reasons to Tint for Spring & Summer. Style is the obvious reason, but there are many, many more. Window tinting doesn’t just make your vehicle look cool, it actually works hard to make your vehicle more comfortable in the summer sun for your family, pets, and belongings. 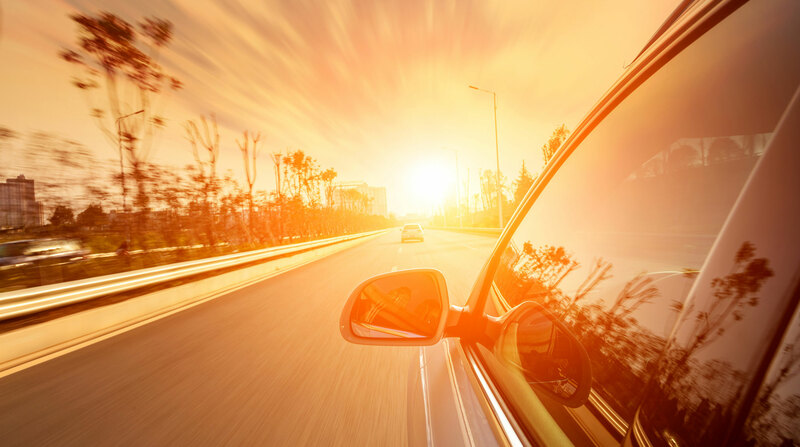 With summertime right around the corner, ask us about the many ways our customized approach to vehicle window tint can benefit you- including improved privacy, upholstery protection, blocking of harmful UV rays from the sun and much more. Appointments start to get really hectic in the next few weeks as the sun comes out and everyone realizes it is time to bring their car in. Send us a note or give us a call today to get in ahead of the rush, we would love to hear from you. Cranking the air conditioning is not only bad for the environment, but it burns fuel, costing you money. Window tint will eliminate the temperature spikes in the vehicle’s interior, and the subsequent need to adjust the air-con frequently. Many cars on the roads today don’t have air conditioning at all, and for those folks the temperature improvement with the addition of window tint will be felt and appreciated instantly. Window tint protects whatever is inside the vehicle from the damaging heat and UV rays of the sun. This includes upholstery and leather, which will crack and fade after prolonged sun exposure, but it also serves another, more important function. Window tint protects you and the other passengers in your vehicle, by deflecting 35-65% of solar heat and 99% of UV radiation. Excessive heat can result in heatstroke and UV rays can contribute to skin issues like sunburns, age spots, and in some cases, skin cancer. Window tint will protect your glass from shattering in the event of being maliciously struck and cracked with an object or as a result of shattering or breaking in a motor vehicle accident. Window tinting will hold your windshield together even when it breaks, as it adheres directly to the glass. If you live in a windy area and your car is at risk of being hit with airborne objects like branches or you frequently drive gravel roads and rocks ping against your glass, window tinting helps protect passengers from flying glass shards in the event of an accident. With the amount of time the average person spends behind the wheel, it’s nice to have some privacy for all those hours on the roads, crammed in traffic. Not only will you be cooler, safer and more comfortable as mentioned above, with window tinting no one can see the interior of your car or what you are carrying. It’s a great feeling to lock your car and walk away, confident that your valuables won’t attract attention. When a passenger needs to remain inside the car while you run a quick errand, they can feel secure knowing they can’t be detected. Contact us today for a custom quote on getting your vehicle summer ready.